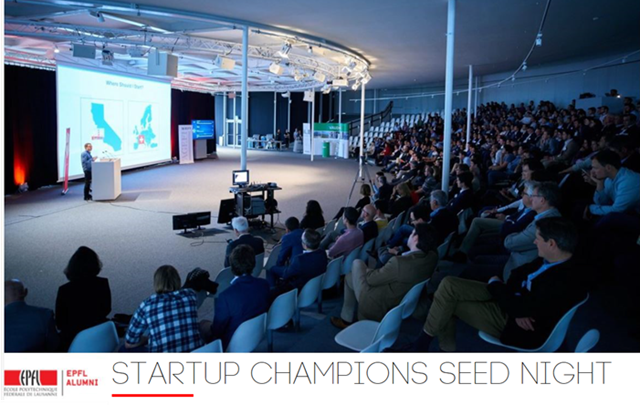 You are invited to attend the Startup Champions Seed Night 2019 @EPFL. Immerse in the Swiss startup ecosystem, expand your network, and meet fellow alumnus Steve Anavi, MBA’11D, one of the event’s two keynote speakers. Co-organized by EPFL Alumni, EPFL Innogrants and Venturelab, this an annual startup presentations & pitch competition, bringing together some of the most promising entrepreneurs from EPFL and the rest of Switzerland. This edition will showcase 20 startups, including the winners of the venturelab programs and some of the fastest growing EPFL early stage companies. The event will take place at the Forum Rolex of the EPFL Rolex Learning Center.